TruColor now has a full line of all natural sanding sugars. Of course I have to try them! 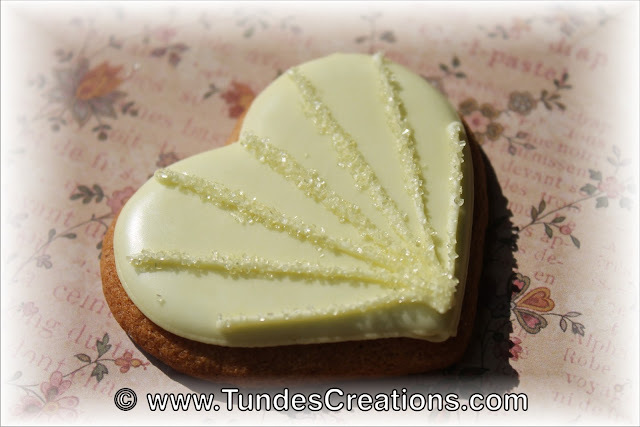 I've never used sanding sugar on my cookies before, but I have to tell you, it is fun! This project is fast and easy and the sugar makes it interesting. 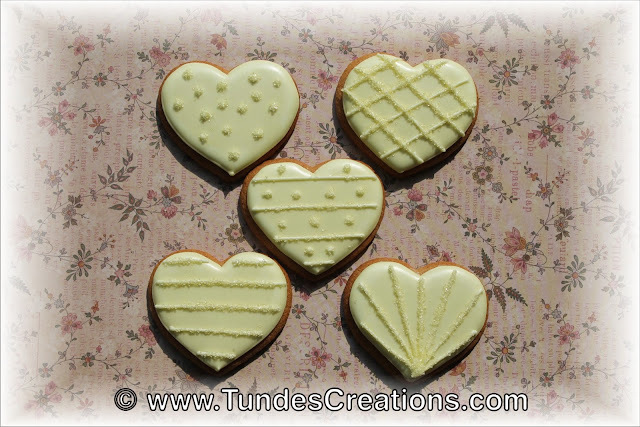 I just flooded some small heart cookies with yellow icing and let them dry. Then I piped some simple, basic patter on top and dipped them in pastel yellow sanding sugar. Look, how gorgeous this texture is! I am sure I will play with these sugars more!